When Kinley Chandler abruptly lands in medieval Scotland, there isn’t much she’s leaving behind. With her body shattered and her military career over, Kinley has resigned herself to death. But in the past, all that changes. Lachlan McDonnel, the laird of a clan of immortal highlanders, can hardly believe his good fortune. Not only does the mysterious lass save his life, she awakens his heart in a way he’d thought no longer possible. But the druid spells that allow Lachlan’s clan to live forever have a dark side as well. Ashley Moore's life in San Francisco has hit a few snags, not the least of which involves sightings of a mystery man around every corner. Is she losing her mind or does he really exist? Her search for this grey-eyed stranger leads her to Scotland. 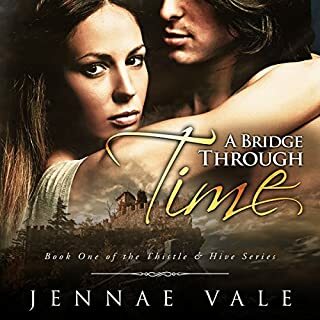 There she meets a witch with a secret, a vindictive English knight who is bent on revenge, and she crosses a fog-shrouded bridge into the arms of a 16th century Highlander. 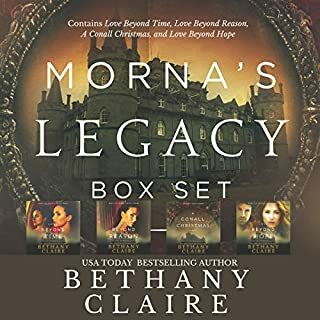 USA TODAY best-selling Morna's Legacy Set #1 contains the following books from the Morna's Legacy Series: Love Beyond Time (Book 1), Love Beyond Reason (Book 2), A Conall Christmas (Book 2.5), and Love Beyond Hope (Book 3). The Douglas sisters, beauties all, are valuable pawns in their family's bitter struggle to control the Scottish Crown. But when powerful enemies threaten, each Douglas lass will find she must face them alone. Captured by a Laird Haunted by his father's violent death, David Hume, the new laird of Wedderburn, sets out to make his name so feared that no one will dare harm his family again. The treacherous ally who played on his father's weakness is dead and beyond David's vengeance, but his castle and young widow are ripe for the taking. The moment David lays eyes on the dark-haired beauty defending her wee daughters, however, he knows this frail-looking lass is the one person who could bring him to his knees. Wed at thirteen to a man who tried daily to break her spirit, Lady Alison Douglas is looking forward to a long widowhood. But when the fearsome warrior known as the Beast of Wedderburn storms her gates, she finds herself, once again, forced to wed a stranger. Alison is only a pawn to serve his vengeance, so why does this dark warrior arouse such fiery passion and an unwelcome longing in her heart? With death and danger looming, these two wounded souls must learn to trust each other; for only love can save them. 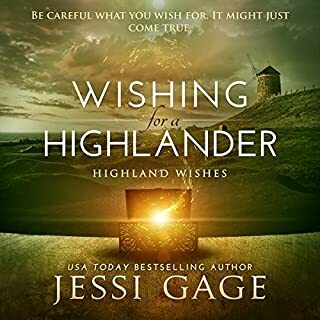 Single-and-pregnant museum worker Melanie voices an idle wish while examining a Scottish artifact, that a Highland warrior would sweep her off her feet and help her forget her cheating ex. The last thing she expects is for her wish to be granted. Magically transported to the middle of a clan skirmish in the 16th-century Highlands, she comes face to face with her kilted fantasy man. as a man, romance novels are a new interest to me. Maggie Ramsay has never forgotten Randall Baines, the English lord who tormented her beloved sister when they were children. After her sister is injured in a senseless accident, she decides to make Baines pay for what he did...only she gets more than she bargained for. Her brother's mysterious friend joins her as soon as she leaves her clan alone, insisting on keeping her safe, and when they reach Baines's castle, she learns the lord is now an earl and his cruelty to women and lassies has only escalated. The discovery fills her with a fire that will not be banked. Dark days have come to medieval Scotland, and fierce warrior Robert the Bruce would do anything to release his country from English rule - and not just because he’s the rightful heir to the Scottish throne. As the bloody war rages on, enemies on both sides of the fight surround him, and Robert must dance a dangerous line between truth and deception. One misstep could topple his nation and cost him his life, yet one woman tempts him - and threatens his mission - as no other ever has. Audrina James was only trying to stop the old brooch from being stolen; she didn’t know that touching it would send her back in time to medieval Scotland! But the brooch belonged to Audrina’s ancestor, a woman who died tragically on her wedding night and swore to her last breath that she would be reunited with her true love - and Audrina is her mirror image. It’s been one year to the day since Colin MacLaren’s bride suffered and died at the whim of a bloody-handed English occupier. So how is she standing before him? Successful matchmaker Brianagh O'Rourke believes in happily ever afters...just not her own. She's convinced passion exists only in her dreams. When she reluctantly accepts a marriage proposal, Bri decides she needs a vacation - but she doesn't expect it to be in 15th-century Ireland. The Dark Kings are sworn to defend an ancient legacy of dragon magic. But their fiercest challenge lies in the modern world, where a woman's love conquers all. These are their stories. Dark Heat gathers together these favorite stories of Donna Grant's Dark Kings. Sir Niall Oliphant was betrothed to the Bruce's daughter, Princess Elizabeth, until she declares that his wound in battle has incapacitated him as a man. Because he does not wish to marry the spoiled royal, he is glad to pass her off to his brother Sir Walter. He's more than content to fade into the background with his injuries and remain a bachelor forever. Until he is presented with an offer from the Earl of Sutherland to marry his only daughter, a lass more beautiful than any other, who makes him want to stand up and fight again. After 10 long years of education and residency, Dr. Emmy MacKenzie decides it's time for a much-deserved vacation. 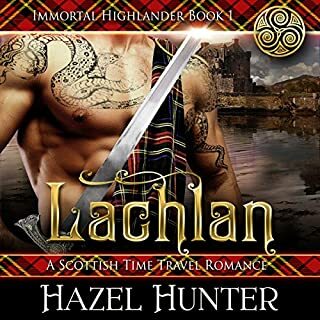 But when she's traveling the British Isles, a twist of fate at the gates of the ancient castle of Duart hurls Emmy more than a hundred years into the past and into the arms of a magnificent Highlander who thinks she is his long-lost wife, Heather MacLean. Laird Cormac Murray has witnessed how love destroyed his own father after the death of his mother, and he vows to never take a wife. Yet, when he comes upon a bewildered lass traveling alone, he finds his heart will no longer listen to his mind. In the end, Cormac risks everything to claim the love of a woman not of his time. Eve Brannigan loves helping others and baking. After winning a contest, she is stunned to learn that the Clan Murray has requested her assistance to cater to their guests during the holiday season. Recent college grad Emma Damon knows the Rose Room in Hartley Hall is off limits, which is exactly why she can't wait to get inside. Once she enters the forbidden room, Emma learns more about the history of the museum than she ever intended to know. Waking up confused and shocked in 1816, all Emma wants is to return to her cozy home with flushing toilets and disposable razors. But when she's mistaken for someone else, Emma must pretend to be everything she's not. When Akira Ayres finds the brawny Scot with a musket ball in his thigh, the healer has no qualms about doing whatever it takes to save his life. Even if it means fleeing with him across the Highlands to tend to his wounds while English redcoats are closing in. Though Akira is as fierce and brave as any of her clansmen, even she's intimidated by the fearsome, brutally handsome Highlander who refuses to reveal his name. Englishwoman Evelyn Worthington is resolved to build a school for ladies in her brother's newly purchased Scottish castle. But when she arrives, not only does she find the castle scorched by fire, but a brawny Highlander bars her entry. Clan chief Grey Campbell would rather die than see his family home, Finlarig Castle, fall into English hands, so Grey must win the battle of wills with the beautiful Sassenach who flashes a bill of sale before him. Summoned by his father to return home immediately, Dougall MacRae knows he cannot leave without his beloved Helene. 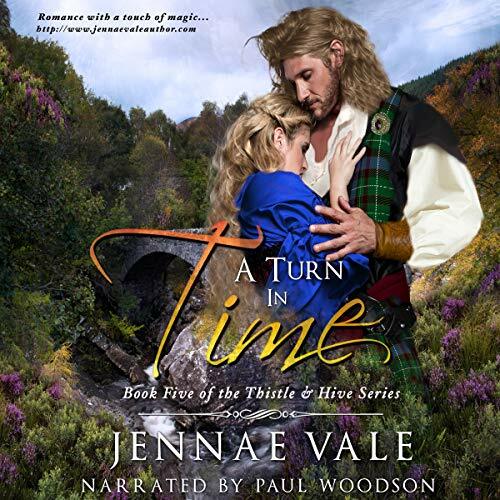 He asks her to marry him and accompany him back to Castle Treun unaware that his father has plans for him to wed another in an attempt to strengthen clan alliances. He can keep Helene as a mistress, but not as his wife. Helene has lived her whole life at Breaghacraig and has left it all behind to marry Dougall. She refuses, however, to remain at Castle Treun as his mistress. Fleeing in the dark of night with no idea how to return to Breaghacraig, Helene stumbles upon a beautiful stone bridge. Devastated and alone she contemplates life without Dougall. As she pleads aloud for someone to help her, she is engulfed in a thick fog and when it clears she finds herself in the year 2016 in San Francisco, California, where Dougall’s betrayal has led her into the arms of the kind, handsome stranger who saves her in her hour of need. This was a wonderful mix of modern day and medieval life. It had suspense, adventure and romance. The characters were beautifully written and wonderfully portrayed by Paul. He is a joy to listen to, and Ms Vales books are an amazing read.